Light weight knitwear is essential at this time of year when the weather is so changeable. 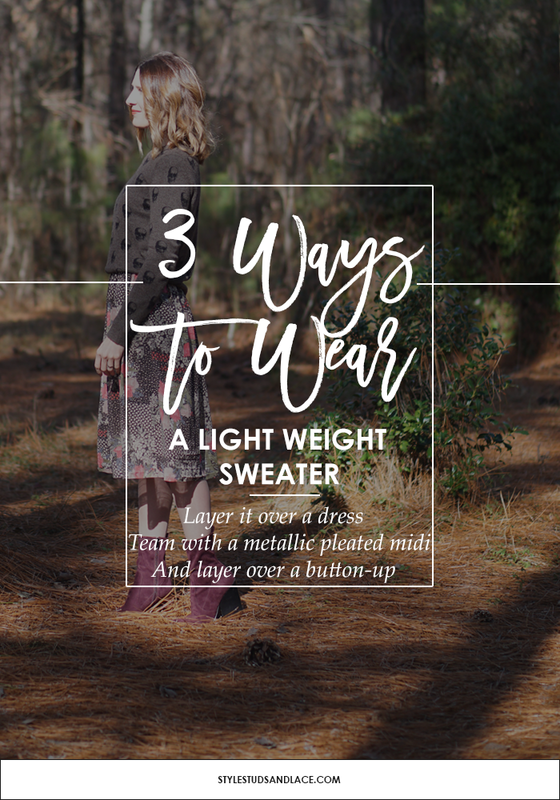 Chunky sweaters are often too warm and too bulky to layer with transitional pieces. 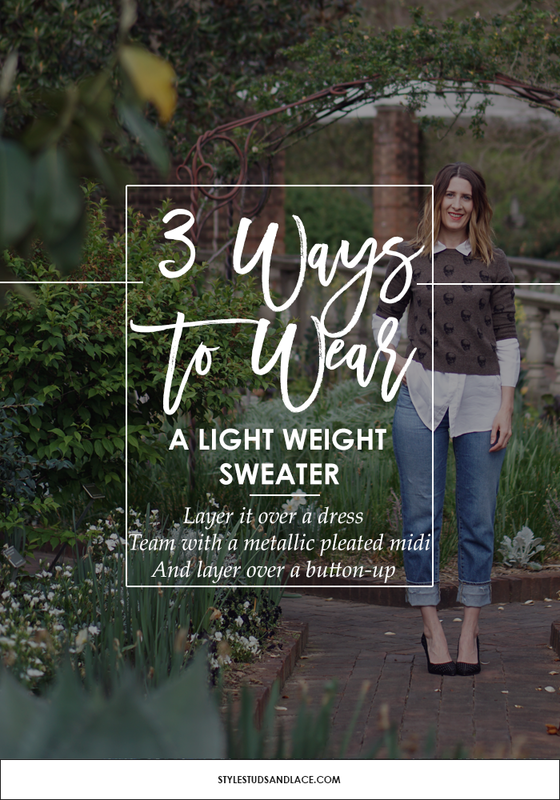 Light knitwear can be tucked in without adding bulk, is often warm enough to wear without the need of a coat, and if you do need to layer it, you can do so without being too warm a few minutes later. 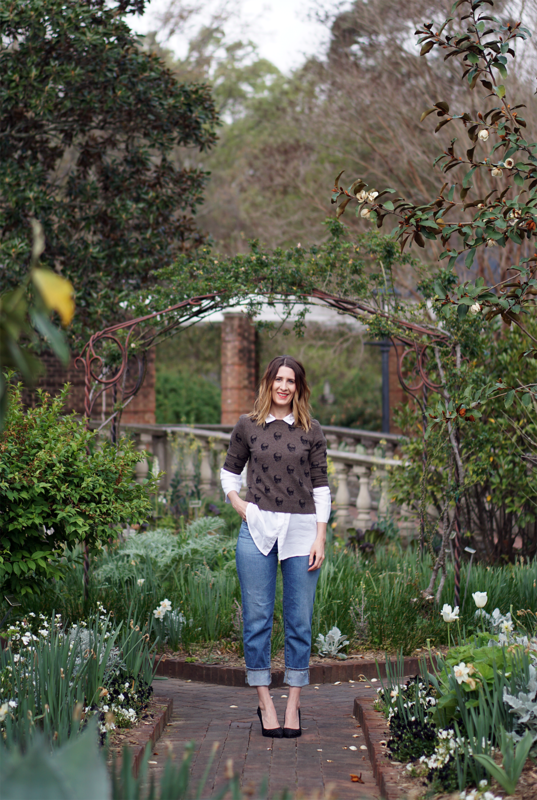 When I’m home in the UK, light knitwear transcends the seasons, it really is a wardrobe staple. 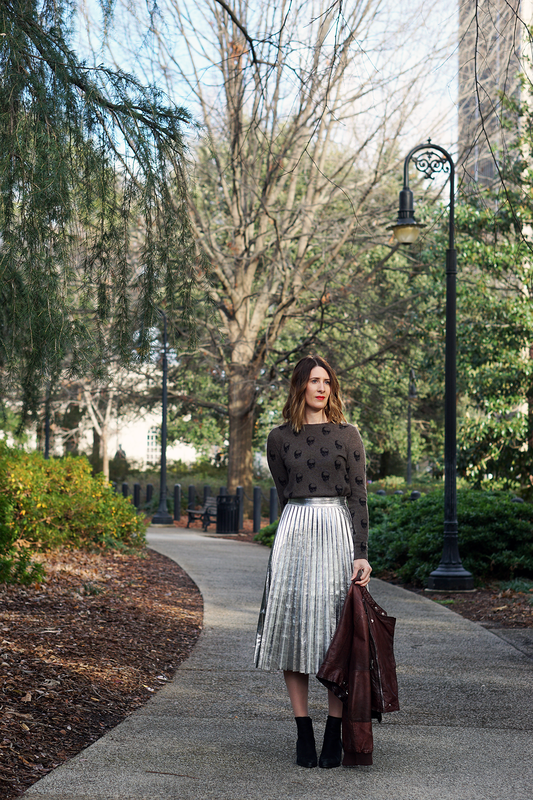 I love the contrast of textures between a shiny metallic skirt and knitwear. 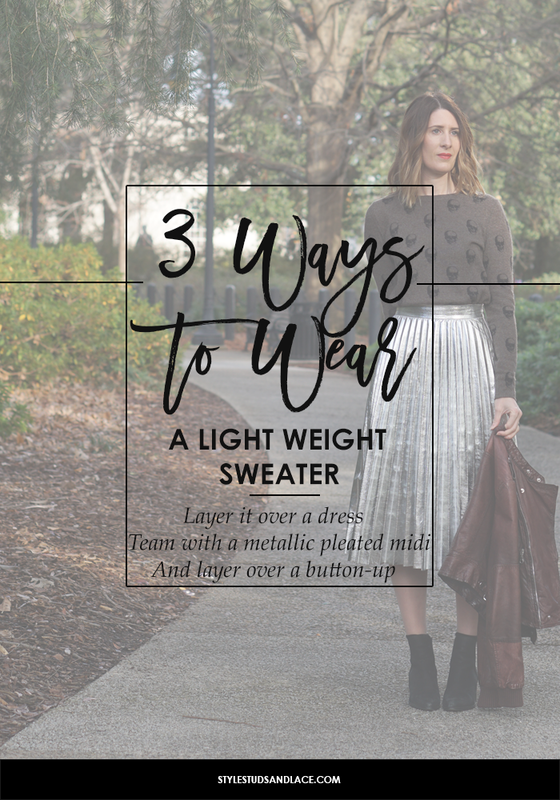 Teaming the skirt with a light weight knit allows me to tuck it in without adding bulk and I love to tuck my tops into this skirt as it lengthens my legs and highlights my waist! 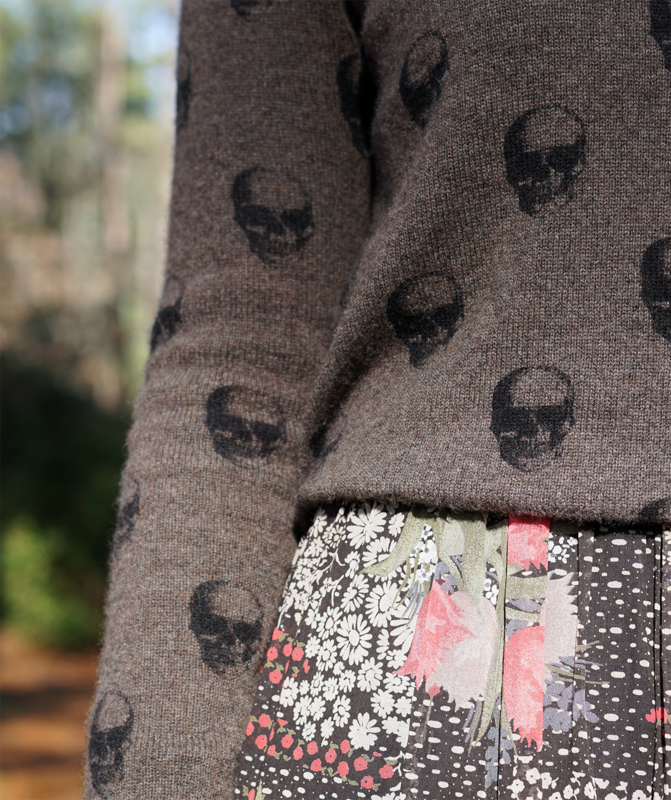 Teaming your sweater with a skirt like this is a great way to dress up a piece of knitwear. 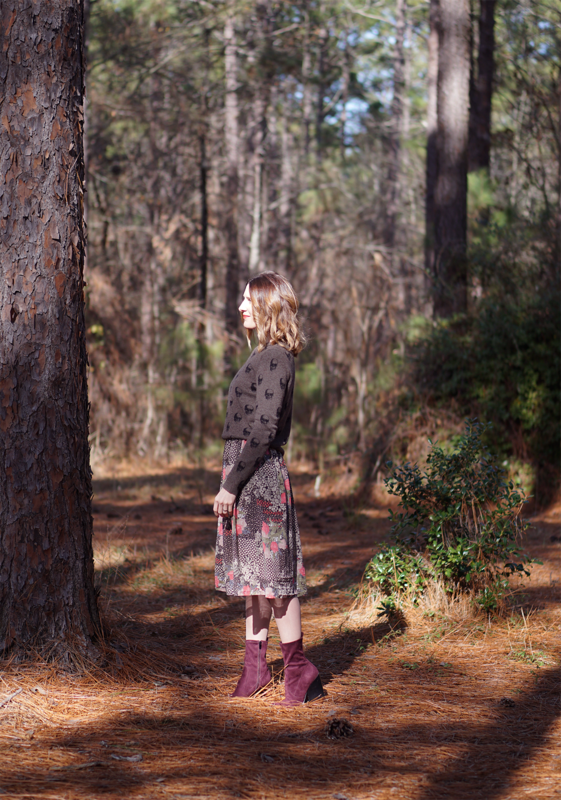 Fine knitwear is perfect for layering over dresses. Granted, a chunky sweater would look great over this dress too, but at this time of year it would be far too warm so fine knitwear it is. It also allows for room to throw a jacket on if the weather is changeable where you are. Sometimes a sweater alone isn’t enough to keep warm, but when the weather keeps changing, like it is at the moment, I much prefer to layer a thin shirt underneath mine rather than lug a jacket around with me. 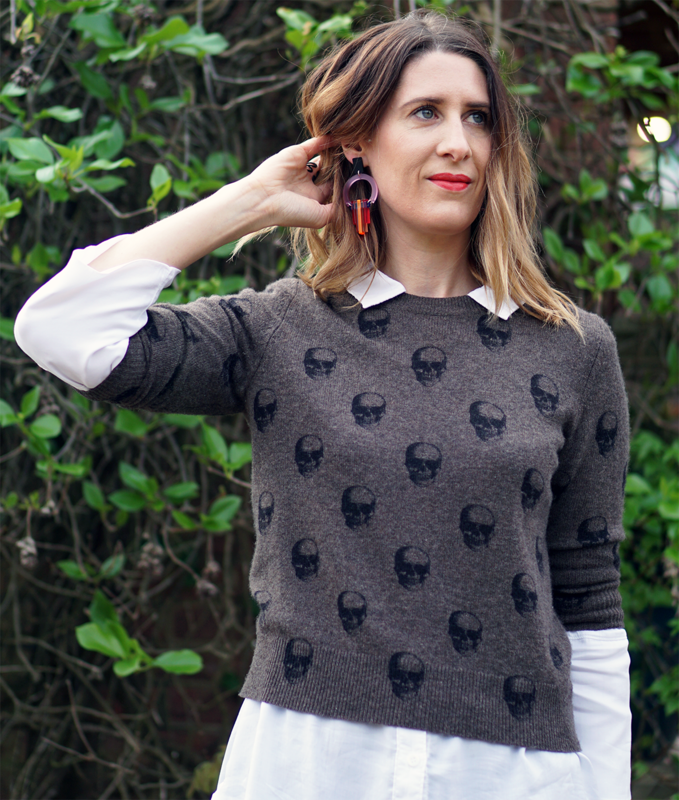 This shirt has fluted sleeves which don’t sit comfortably under the sweater so I’ve just cuffed the arms a little to reveal them rather than be uncomfortable. And to finish the look I’ve accessorized with a classic pair of pointy heels to illustrate that casual denim can easily be elevated to a much more polished status!